Valentine’s Day is a few days away, and the Super Bowl memories have already faded away. Have you asked your date to be your Valentine yet? 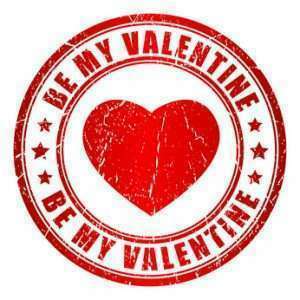 If not, are you aware that there is a “cut-off” rule for when to decide who you will be spending February 14th with? If you have watched Curb Your Enthusiasm, you might recall that Larry David discussed the cut-off rule in an episode. They determined 9:30-10:00pm for the cut-off time to phone a friend. It became a heated discussion. The same ‘cut-off’ theory applies to Valentine’s Day. In my online dating book, The Perils of Cyber-Dating: Confessions of a Hopeful Romantic Looking for Love Online, one of my rules of netiquette was the cut-off rule. This rule applied to the most common misrepresentation in an online dating profile – the accuracy of your age. Although I believe in authenticity, I had decided that 5 years was the maximum amount of years that you could take off your age in your profile, if you felt you needed to fit into a search. I added that you need to be honest in the body of your email, on the phone, or certainly the latest by the first-date. I don’t promote lying on your profile, I just know that many singles do. Getting back to Valentine’s Day. When is it too late to ask the woman you are dating out for Wednesday night? Here’s my relationship advice. I took a poll during the Super Bowl posing this question. Most men felt they could wait until the last day, if there was chemistry with someone they had just met. I disagree. I believe one week is the maximum, and that once the Super Bowl was over, it was time to put the date in ink on the calendar and reserve whatever remaining restaurants were available at such a late date. Most restaurants book up a month in advance of Valentine’s Day, so there will be slim pickings. You can always opt for in-room dining and bring food home, and set the table with fine china and candles. If you are waiting until the last minute, don’t be surprised to find your date has made other plans. A smart, confident woman doesn’t wait around for the phone to ring. She’d rather be alone than be an afterthought. If you have made Valentine’s plans and have a change of heart, don’t go down in history as the guy or girl who cancels on her Valentine’s date the week of because someone better came along. It will come back to haunt you. If you are gearing up for this romantic day, logging into your online dating profile on a regular basis during the days leading to Valentine’s may put you in the dog house, instead of the bedroom. With or without a date, my advice is to try and enjoy Valentine’s Day and be open to the possibilities of love, or hanging out with friends. Open your mobile dating app and start swiping and chatting. Your next Valentine just might be a click away. Julie Spira is America’s Top Online Dating Expert and Digital Matchmaker. VIDEO – Is Texting Preventing You From Dating In Real Life? You’ve met that someone special and have great online chemistry. Watch our video to learn the right time to take your relationship?from online to offline. Julie Spira is an online dating expert and coach. 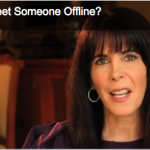 ?Watch more?video dating advice and follow Julie on Twitter @JulieSpira and at Facebook.com/CyberDatingExpert. Want to see our posts? Sign up for our Weekly Flirt -e-newsletter and receive a free copy of The 5 Secrets to Finding Love Online e-book.